Right on Church Street, right on Columbus Street, left on Wilburn Road, left on N. Bristol Street/Hwy N, right on Hwy 19/Windsor Street. Our hearts are with the family of Captain Cory Barr; He sacrificed his life to save others. Our thoughts and prayers are with those affected by the explosion and our thanks to all Firefighters, Police Dept., EMS, and all those who helped in any way. 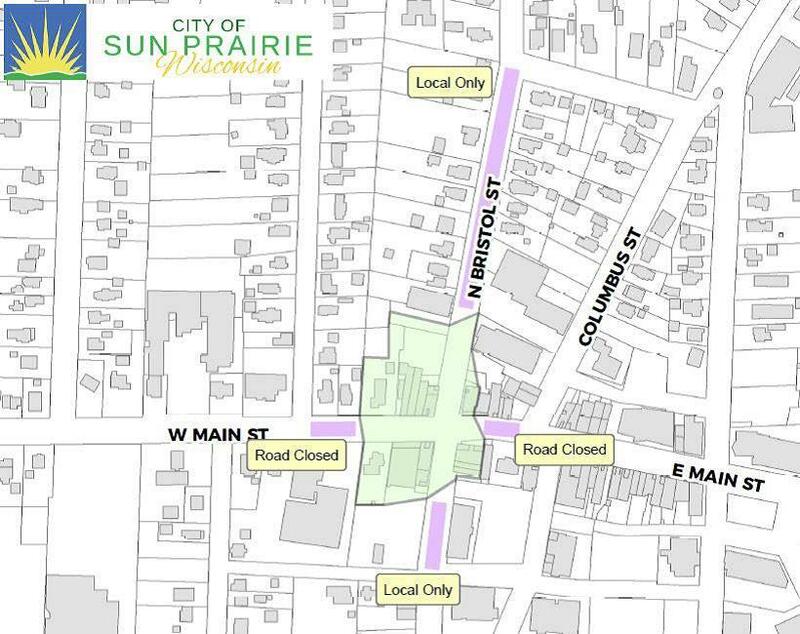 Click here for the current status of businesses in downtown - open/closed etc. 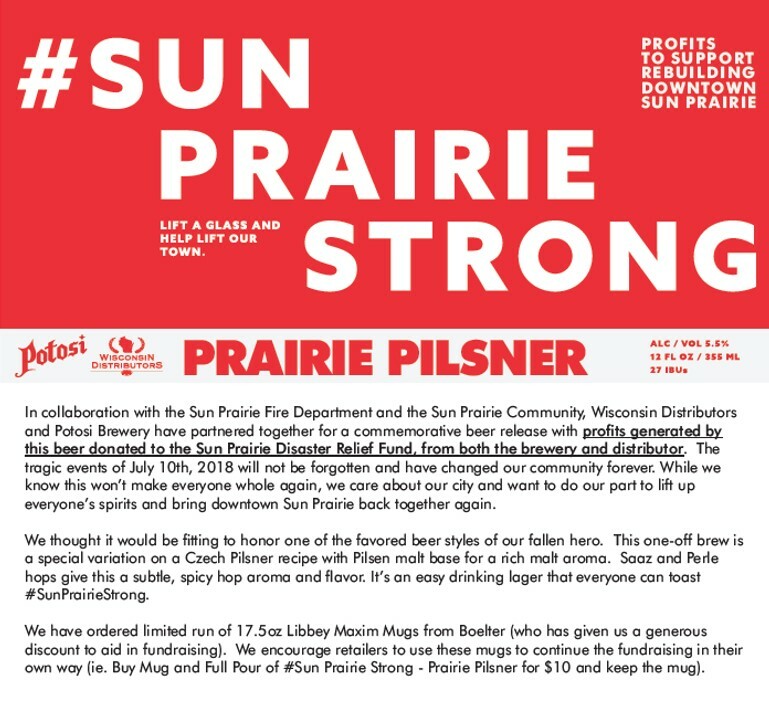 Recently, the Sun Prairie Disaster Relief Committee was created to oversee distributions to individuals and businesses who were affected. 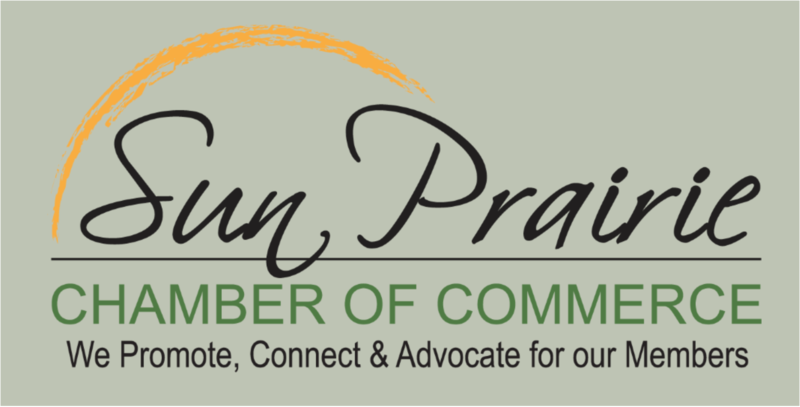 The Committee consists of 15 members from the Sun Prairie community including Bank of Sun Prairie President & CEO Jimmy Kauffman and Sun Prairie Mayor Paul Esser who are co-chairs of the Committee. United Way of Dane County is assisting the Committee in developing an online application and evaluating the requests. Mo'Wyz Dry Cleaners - Open, limited hours, call first. Mobile pick-up & delivery available. 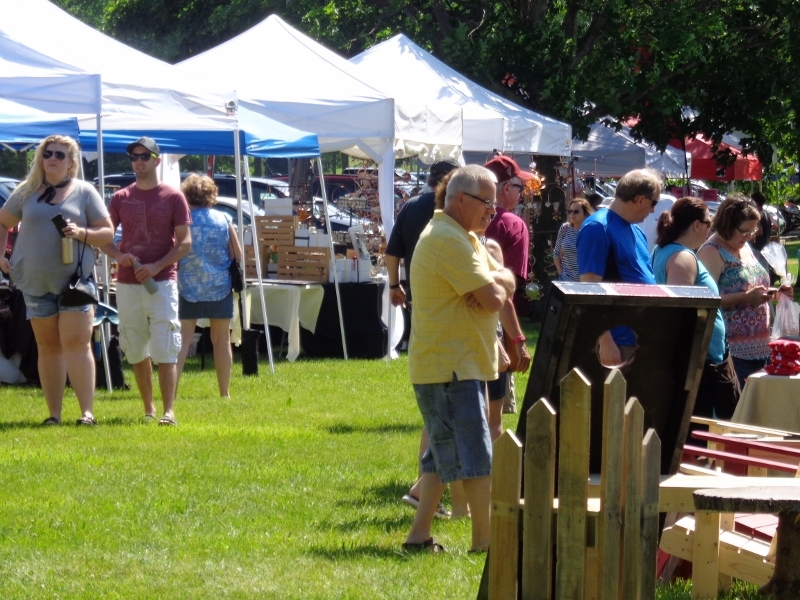 All Cannery Square businesses are open. Supporting these small business has never been more important!